It is important to realize the difference between gross pay and net pay. Let’s say your first job out of college is a starting salary of $35,000 per year and you get 2 paychecks a month, or 24 pay periods. Your gross pay would come to $1,458.33 for each of those 24 paychecks. But taxes and withholdings are taken out first – this is your net pay. 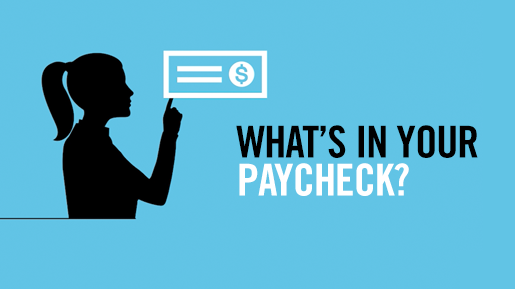 You need to think about your net pay when setting a good, monthly budget.